This entire world is made up of vibrations, and we should see to it that these vibrations are Sattvik (positive and uplifting). When a doctor is good and treats everyone well, we generally say that the doctor has a healing touch. See, all doctors are the same but some treat their patients better than the others do. They seem to have a healing touch in their hands. Whatever seeds of thought we sow into the consciousness, the same will be the vibration around us. That is why we should regularly practice yoga and Pranayama. So this is a wonderful opportunity for all of you to enhance the qualities of your mind and your being. First acknowledge that you are weak and then know that God is the strength of the weak. When you have this strong faith, then you will not feel weak and helpless. Every Friday, we perform a small pooja here in the Ashram in honor of Goddess Lakshmi. Tomorrow, those of you who wish to attend the pooja are most welcome to do so. First we shall pray to God to bless us with timely rains, so that whatever seeds we sow in our fields blossom and yield food, and that no one in our country goes hungry. After the pooja, we shall have other sessions and activities. Before we start anything new, we are asked to pray to God. This tradition is unique to India and is not found in any other country in the world. When we pray, we should remind ourselves that when we were born in this world, we were so dependent on our parents and family for all our needs. When we grow old, we shall again become dependent on our children and family for something or the other. So both, in childhood and in old age we have a dependency on others. And in between these two points of our life, we still are dependent on so many things, like the rains, the society, etc. So throughout our life, we have a sense of dependency on something, or some person. But when we remember that this dependency in the true sense is our dependency on God for all our needs, then this sense of dependency becomes a source of great inner strength rather than a source of weakness. Then we can find strength even in moments of helplessness. This is the secret to worshiping God. You must have heard this saying in Hindi, 'Nirbal ke bal Ram' (God is the strength of the weak). So first acknowledge that you are weak and then know that God is the strength of the weak. When you have this strong faith, then can you continue to feel weak and helpless? No, this knowledge brings immense strength and makes you self-reliant and independent. It is very necessary for our farmers to become independent and self-reliant. Before we start anything new, we are asked to pray to God. This tradition is unique to India and is not found in any other country in the world. 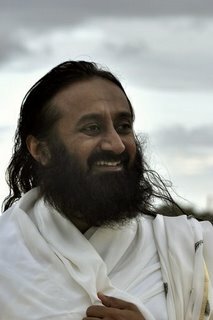 By the way, today is also the anniversary of our Art of Living Foundation. Actually, there is really no beginning to this knowledge, it is timeless and beginning-less. But formally, we established The Art of Living Foundation and the Ved Vignan Maha Vidyapeeth today, and so the organization got registered on 13th November 1981. Today we have completed 33 years of service. One of the first trustees of the organization was Justice V.R. Krishnaiah. Today he turned a 100 years. It is his 100th birthday. He is the most acclaimed legal expert and court judge of India. He used to call himself an atheist back then. But then, after meeting me, we would have many discussions on spirituality and slowly he also became interested. 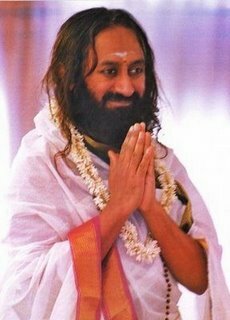 He would attend the guided meditations I conducted in those days because at that time there was no Sudarshan Kriya, and I used to conduct meditation only. He spent a lot of time with me. Then he felt that there is something really wonderful about spirituality, and from then on he began his journey as a devotee and a believer. He was a very noble-hearted soul. You know, whether a person is an atheist or a believer (of God or spirituality), as long as he remains steadfast and true to his word and action, he surely becomes successful in life. And as time progresses, slowly and surely they start developing an interest in spirituality and become strong believers. We have observed this many times. A person may sometimes say, 'Oh, I am an atheist', but they say that from a very superficial level. Deep down, they also know that there truly is something that is beyond their limited understanding. So such people slowly and surely do understand the value of spirituality. In fact, at that time I was very reluctant to start an organization. It was these few people who inspired and supported me to start the organization, Pitaji (a loving name for Gurudev’s father), Justice Krishnaiah, Justice Bhagawati, Mr. Lakshman Rao who was the mayor of Bangalore, and Mr. Narasimha Rao, who then was the Chief Secretary of Karnataka at that time. These five people told me, 'No, you must start this organization'. Today is the day that they formally registered the organization 33 years ago. Whether a person is an atheist or a believer, as long as he remains steadfast and true to his word and action, he surely becomes successful in life. So, today our Ashram has completed 33 years of its existence. In those days the Ashram was not what it looks like now. In those early days, the rooms and living quarters were thatched huts made from straw and mud. In those days, there was not a single sturdy house made of cement; everyone made huts. But just see the change today. Everyone today makes strong houses made of cement. In those days, when it used to rain, water would drip from the straw ceiling to the floor. I always used to like simplicity. I would often ask that the houses and huts should be constructed from coconut coir and grass straws, just like how it used to be in the olden days. At that time, there were just around 100-200 people with me. Some of you are still sitting here today. We used to fetch water from the well, and a generator used to supply electricity for lighting the Ashram. The power supply would only last for one to two hours in a day. There was so much rain in those days, and it was so windy, that everything used to get blown away with the strong winds. Then we thought that we should make more pukka places to stay. Many people from foreign countries also started coming to meet me. 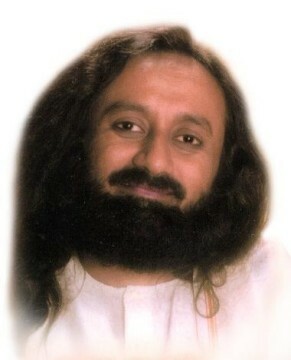 One of those people told me, 'Gurudev, there are so many devotees pouring in to the Ashram now. You will really have to get a huge meditation hall constructed soon to accommodate all these people. They will not be able to stay in huts and tents for long'. I agreed and told them to start the construction. I myself made the design of the meditation hall and gave them instructions. That meditation hall is now the Vishalakshi Mantap that you are sitting in today. Some 10-15 years later, more and more sturdy houses began to be constructed. So, I told that if we are getting pukka houses constructed for ourselves, then we should also help the people from the villages and surrounding areas in building pukka houses for themselves. I told the devotees at that time with me, that only if everyone living here also gets a pukka house, will I give the permission to have such construction. They all got together and ensured that everyone living near and around the Ashram also got pukka houses built to stay in. Each house had a proper toilet. We also got a small colony made for the people who stay behind the Ashram premises. Earlier they used to stay in slums. So that really helped improve the living conditions of the people.